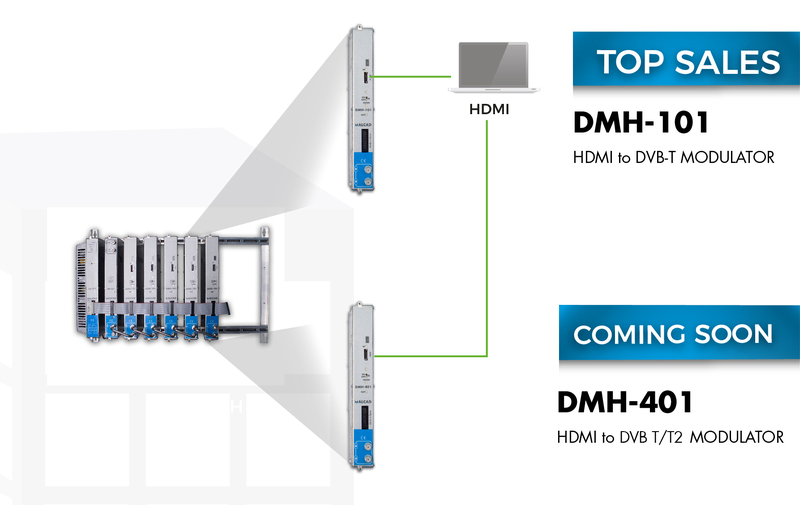 The new DMH-101 (HDMI to DVB-T) is a successful and professional solution to modulate a video signal from an HDMI input to a DVB-T output. Thanks to its modular design it can be installed in rack configuration headend. Moreover, we are pleased to announce you that we are cooking a new DMH-401model which modulates a video signal from an HDMI input to a DVB-T2 output. Do not miss the chance to book your first units during December by contacting your export manager. The DMH range is a reliable, high quality and professional solution for distributing video content in large buildings such as hotels, hospitals, shopping malls and digital signage applications.